Sr. Olga Estela Sanchez Caro was born in Chihuahua, Mexico. She earned a B.A. in anthropology from the Escuela Nacional de Antropología e Historia in Chihuahua, Mexico. After graduation, she joined the Comboni Missionary Sisters, a Catholic congregation with members around the world. She worked in Brazil for ten years supporting the education and rights of indigenous and Ribeirinho (population that lives along the river people) people. Sr. Olga earned a Masters in Peace Studies from the University of Notre Dame, IN, completing her internship in Gulu Women’s, Economic, Development, and Globalization (GWED-G), an NGO working on peace building and human rights concerns of victims of war, especially of women, in Gulu, Uganda. 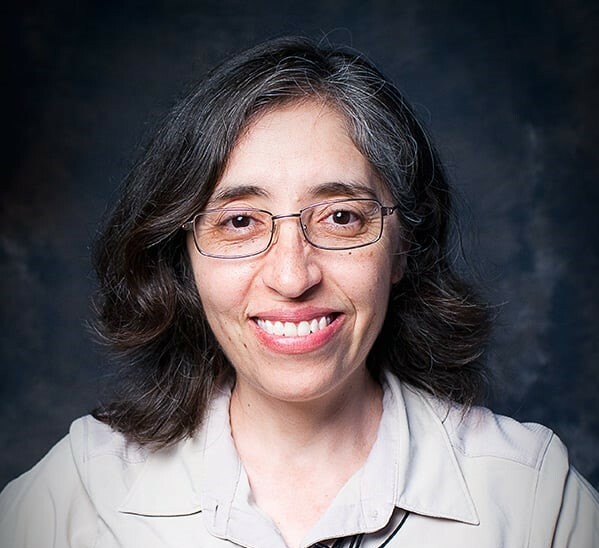 Currently, Sr. Olga works with VIVAT International, a faith-based NGO in special accreditation with Economic and Social Council of United Nations comprised of 12 religious congregations around the world, promoting human rights, justice, and peace.